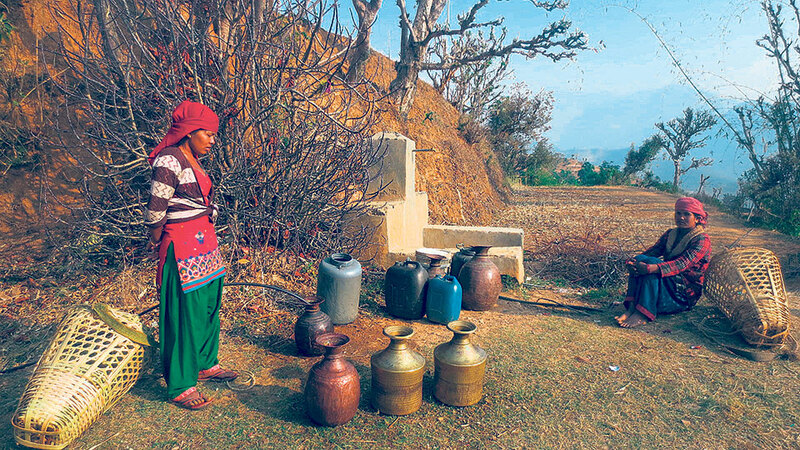 ROLPA, March 28: Amid acute water shortage in their area, locals of Sunil Smriti Rural Municipality of Rolpa have been questioning their local representatives of the significance of the commitments they made during the local level elections. The representatives, during their election campaign, had promised the locals of solving the problem of water shortage. Many of the representatives had marked the water issue as their major priority. Ten months down the line, the situation has not improved. “We have been facing water problem since many years. This time, we have a local government that has the authority to change things here. But even after so many months of assuming office, they are doing nothing about it,” said Dhana Puri, a resident of Mijhing Upalchaur village. She added that such ‘negligent attitude of the representatives has disappointed people’. Residents in the area spend hours to fetch water. From early morning women and children of almost all households set off with water basket to fetch water. Despite the long journey, they make to fetch, not all of them return home with water. “Water scarcity is the most acute problem we are facing. Even if we try hard, sometimes we don’t get enough water,” said Puri. We have to spend most of our time in fetching water. Due to water shortage, hygiene has become our least priority. Even though there are drinking water taps in the area, they barely tender water. Water is released between eight to ten o’clock in the morning. But the volume of the water is so less that sometimes it takes around an hour to fill one bucket, locals lament. Puri said along with residents having personal taps, residents who rely on community water taps, are forced to fetch water from distant water sources. In the last few years, search for water has become very challenging as many water sources have dried up, he said. “River is very far from here. In the past, there were small water springs and sprouts around, but those have dried up. Water shortage was a problem, is a problem and it will remain a huge problem for us, until and unless the local government resolves the issue,” he stated. Puri’s neighbor Nirmala Oli lamented that she spends her entire morning time in queuing for water. Despite standing in long queues, sometimes she has to return with litter or no water at all. “We have to spend most of our time in fetching water. Due to the shortage, hygiene has become our least priority,” she said wishing that the authorities concerned address the problem at the earliest. During the monsoon season, locals depend mostly on rainwater. Life is lot easier for them during the season. However during the remainder of the year, both humans and cattle face water scarcity, Oli said. “Our local government is just for namesake. 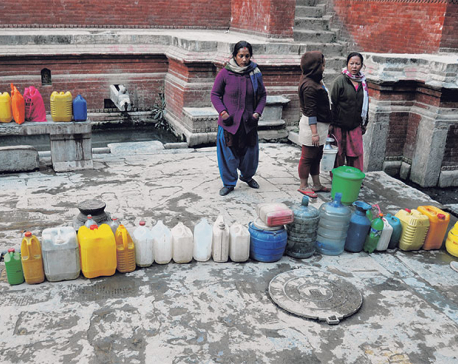 Water shortage has literally paralyzed our life,” she fumed. KUKL imposes water tariff without supplying water!